If you’ve been charged with a crime in Sterling Heights, Michigan or the Metro-Detroit area, you need a criminal defense attorney who will aggressively fight to protect and defend you. Hilf & Hilf, PLC will provide strong legal representation for you at the 41A District Court, the 16th Circuit Court, or wherever you need help, if retained. With Hilf & Hilf, PLC's representation behind you, we will take immediate steps to assist you with your court issue. We got your back! Make no mistake - a criminal charge can follow you around for a lifetime. When your freedom and way of life is at stake, Hilf & Hilf, PLC provides impactful legal strategies to help you get the right result. If you are facing a criminal accusation in Sterling Heights, the first decision is who to hire. The best advice is to to hire a trusted and experienced criminal defense lawyer. Do not ever go to court unrepresented, or with a lawyer who does not care about you or your outcome. With every criminal prosecution you are opposed by zealous (sometimes overzealous) prosecutors, police officers, detectives, and the endless and well financed resources of law enforcement. In additional to this, you also have to deal with the Judge presiding over your case, which also presents a challenge. 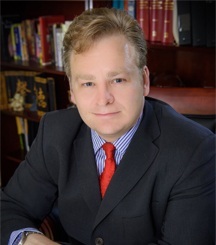 Having a knowledgable, aggressive, and caring attorney on your side fighting for you, diligently working on your defense, looking to find the inconsistencies and flaws in the government's case, and who is willing to fight for a great result, is exactly what you need for your criminal defense lawyer. Do not underestimate the power of having great legal representation. and contact attorney Daniel Hilf of Hilf & Hilf, PLC today. When it comes to your defense, there is no tolerance for a unprepared defense, incorrect legal advice, or anything short of professionalism and excellence from your lawyer. Lawyer Daniel Hilf's vow is to aggressively defend clients, to respect their decisions, and to try and obtain the best possible results, given the circumstances and facts presented. The next step is for you to contact us immediately and ask for attorney Daniel Hilf.